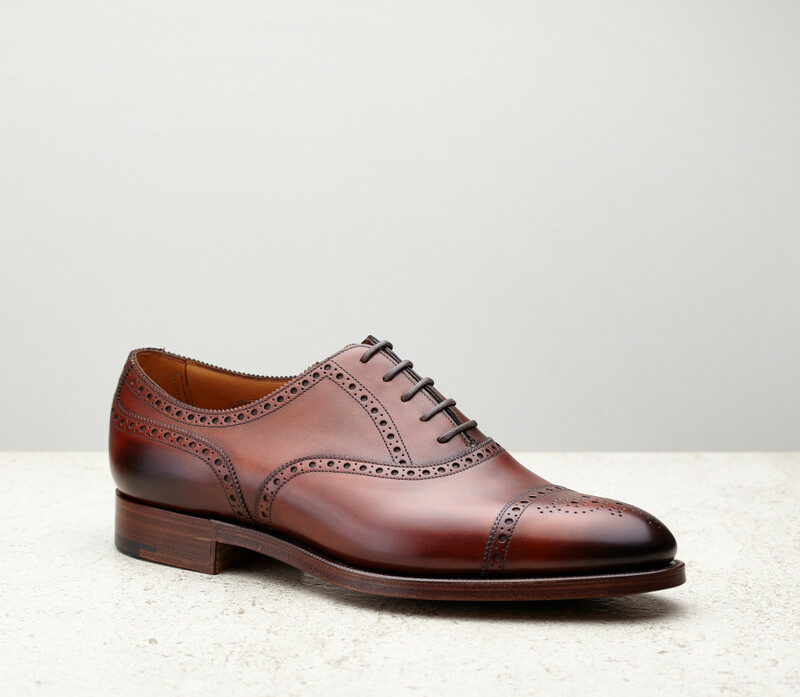 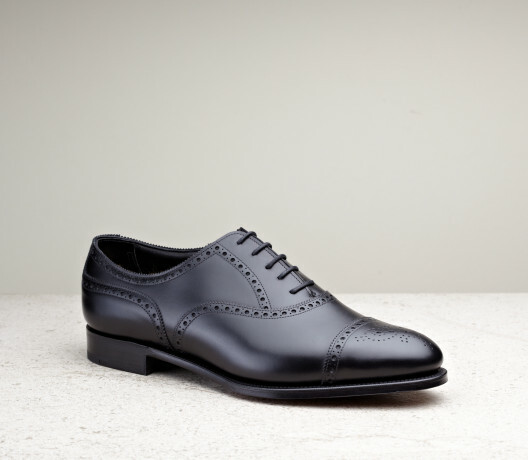 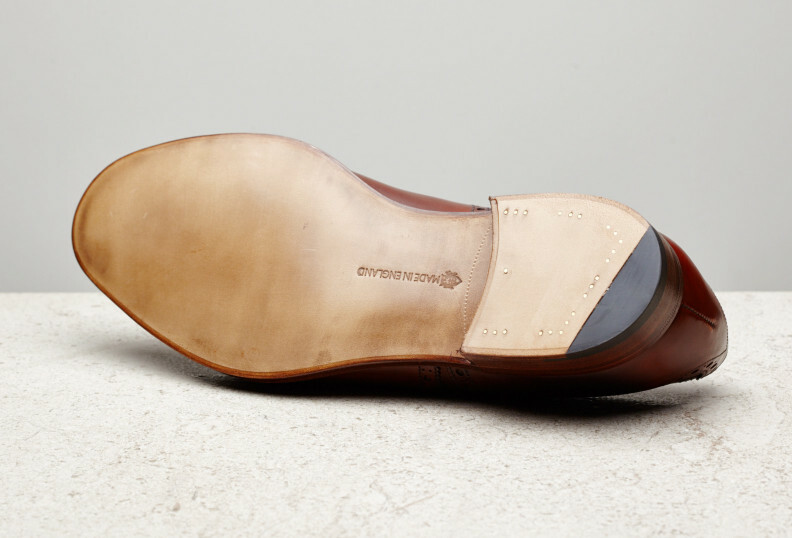 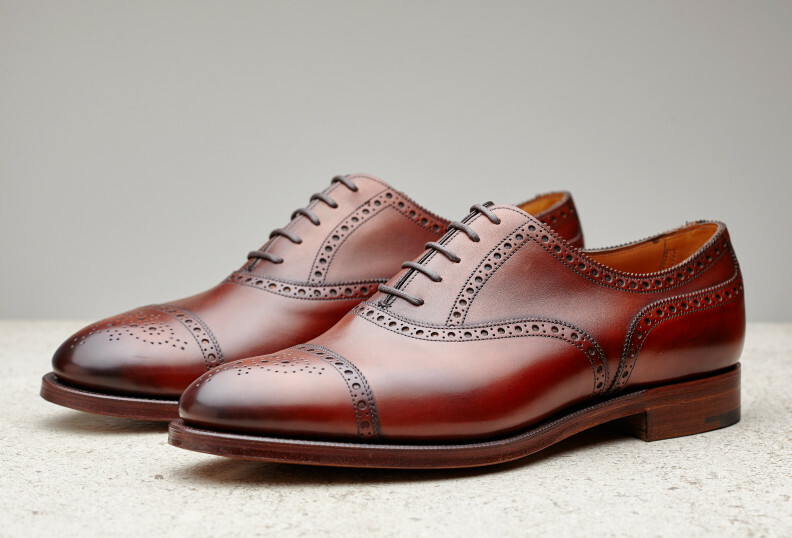 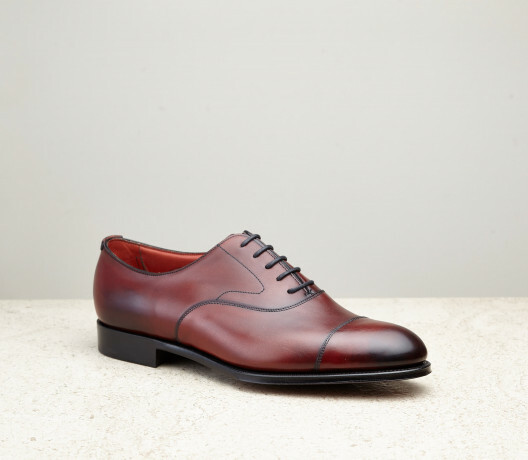 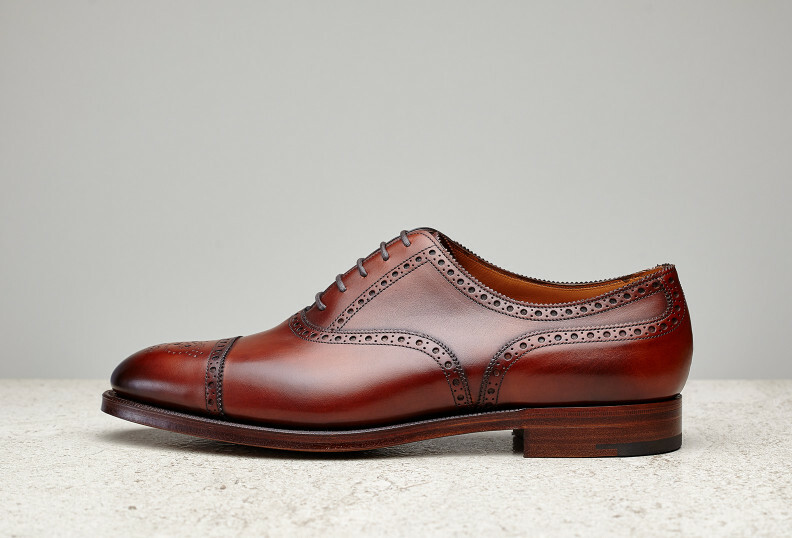 With its traditional rounded profile and toe medallion, the Cadogan is our classic semi-brogue. 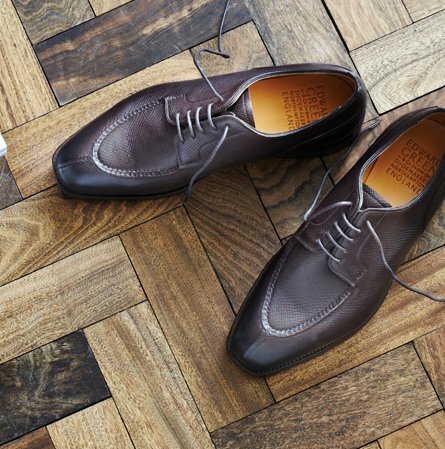 In seasonal redwood antique it makes for a particularly stylish choice for summer. 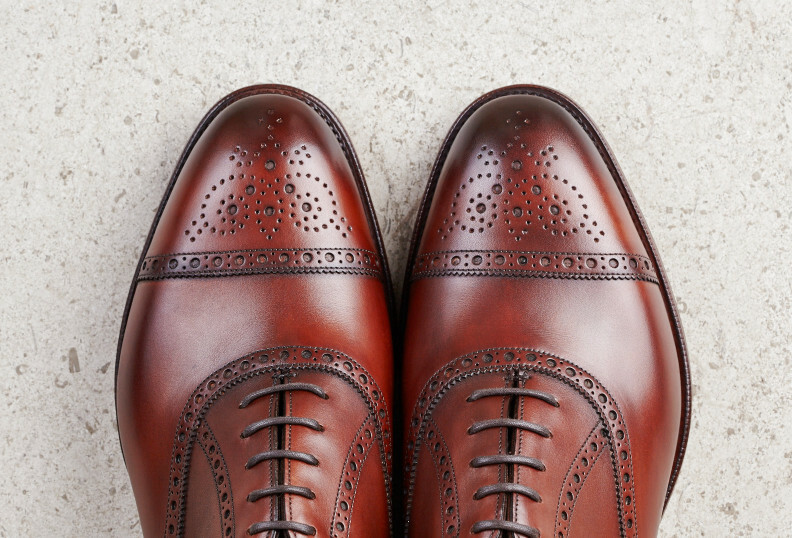 A light warm red which showcases signature Edward Green antiquing with a richly burnished patina.